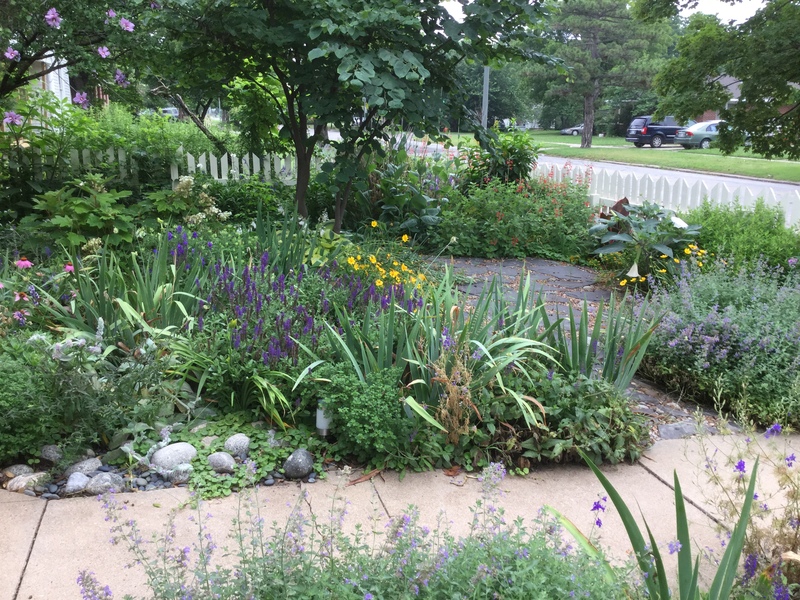 Our small front yard is a garden of perennials and annuals benefitting butterflies and other insects, birds, toads, frogs, turtles, and other wildlife. Many plants such as rue, fennel, milkweed and native trees host caterpillars. Flowering is constant from early spring to late fall. A birdbath with a dripper and a bubbling fountain provide fresh water. Monarch butterflies visit throughout the season. Anyone walking by on Peters Avenue can view our garden.